Way back in 1986, when the roads engineers of the then Public Works Department designed the Bukit Timah Expressway (or BKE as we acronym-mad Singaporeans know it by), their emphasis was to create an efficient transport link from the Causeway to downtown Singapore. 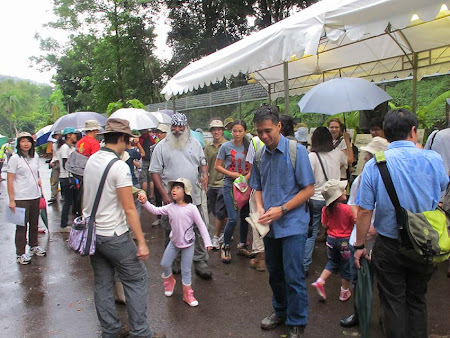 Back then, probably the most efficient route took the expressway right through the Central Catchment, splitting the Bukit Timah Nature Reserve from the rest of the Central Catchment Nature Reserve. 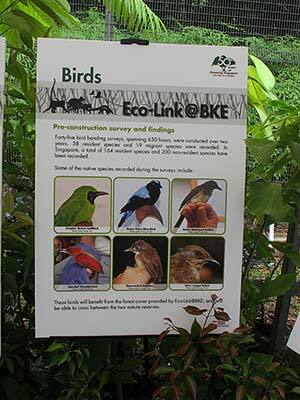 Over the decades that passed, nature observers lamented the fragmentation of the two major high biodiversity nature areas by the BKE. Animals separated by the BKE remained on the two sides and were unable to cross the expressway without the risk of being killed by vehicles. The expressway became an insurmountable barrier. In 2005, the nature community and the government authorities mooted the idea of a nature or green corridor to re-connect BTNR to the CCNR. After some debate and feasibility studies, the location selected for this biodiversity-bridge was confirmed. 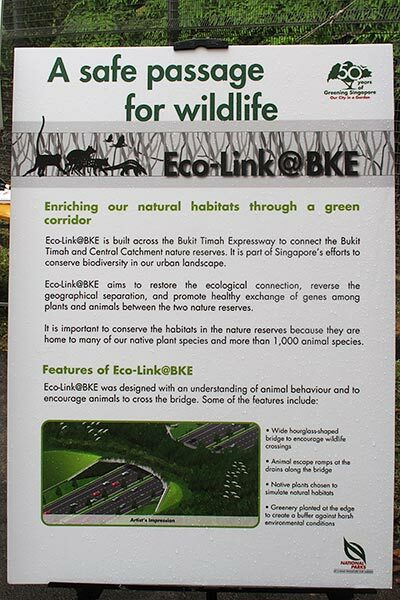 It took some time for the realisation of this Eco-Link as there were issues like design, budget, effectiveness and environmental impact of the link to be dealt with. After further delays, the contract was finally awarded to local contractor Eng Lee Engineering for a contract sum of $11.8M. 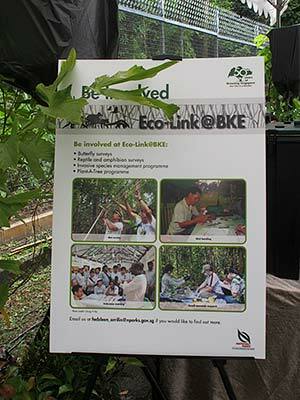 The Ground Breaking Ceremony for the Eco Link was held on 30 Jul 2011. Today, slightly over two years after work commenced on the Eco Link, I attended the Greening of the completed Eco Link. This was basically an event to celebrate the completion of the biodiversity link with a tree-planting ceremony involving the nature community. The event was graced by the Minister of State for National Development, Mr Desmond Lee. The morning started with an imminent threat of another thunderstorm. The NEA weather radar showed a massive front coming in from Sumatra, and it had begun raining cats and dogs in parts of Singapore. 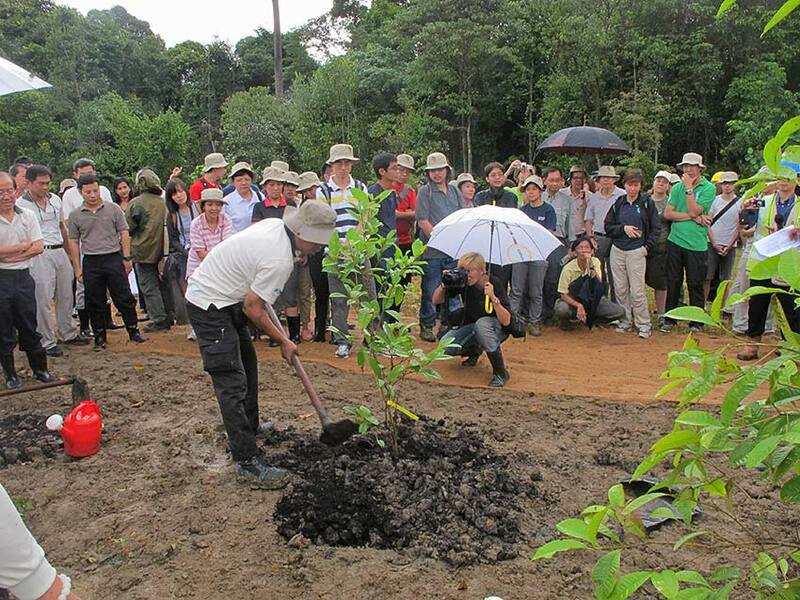 However, the nature community, being a determined bunch, braved the prospects of planting trees in the heavy rain! When I arrived at the meeting point, I was pleasantly surprised to see that a decent crowd had already made their way to the Dairy Farm area. 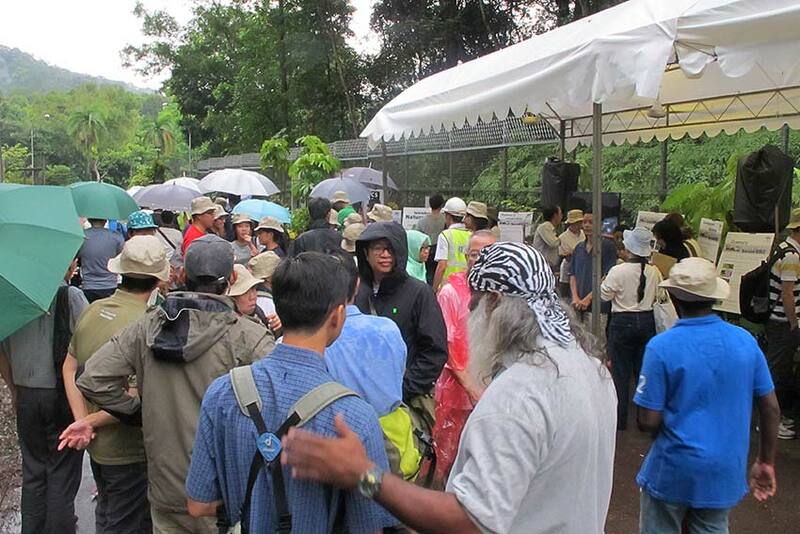 The dark rain clouds were also beginning to clear up, and it looked like the event was a go! 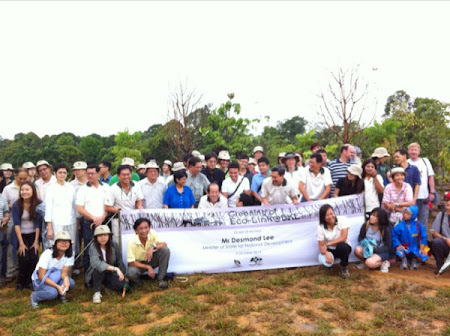 The guests were ferried to the Eco Link by coaches, and before long, the group made its way to the top of the Eco Link, led by MOS Desmond Lee. After the traditional group photo, everyone got busy with the tree planting. MOS was even game enough to plant more than one! 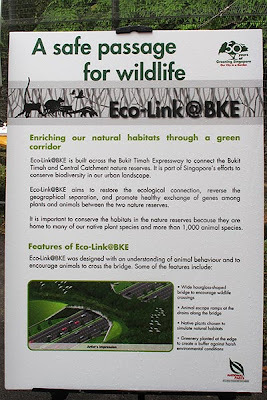 As everyone took in the sights around the Eco Link and the speeding vehicles on the BKE below, I could imagine that this "narrow" 50m wide link could indeed be a bridge across which animals can use to move safely between BTNR and CCNR. 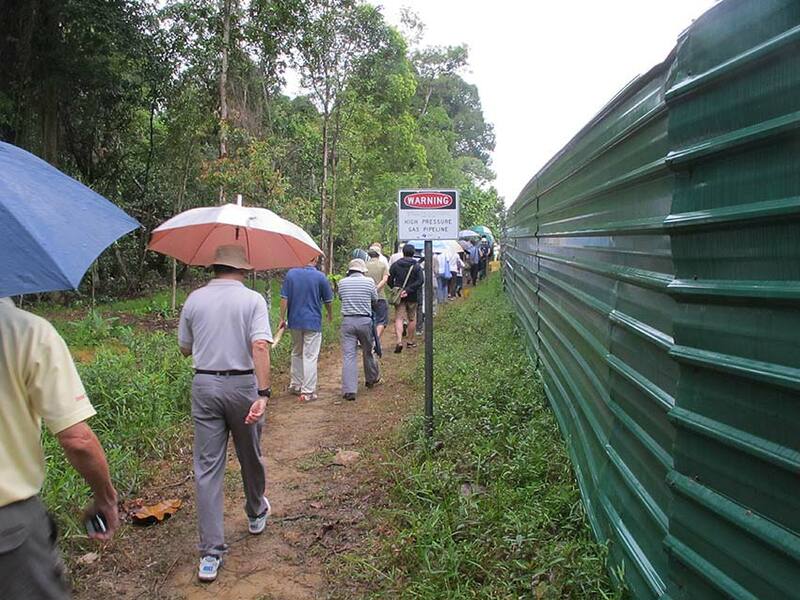 I was also told that the Eco Link will not be opened to the general public and will be kept inaccessible so that the animals that may use it will not be disturbed by human presence. There was also concerns that poachers may also use it as a convenient means to capture their prey. 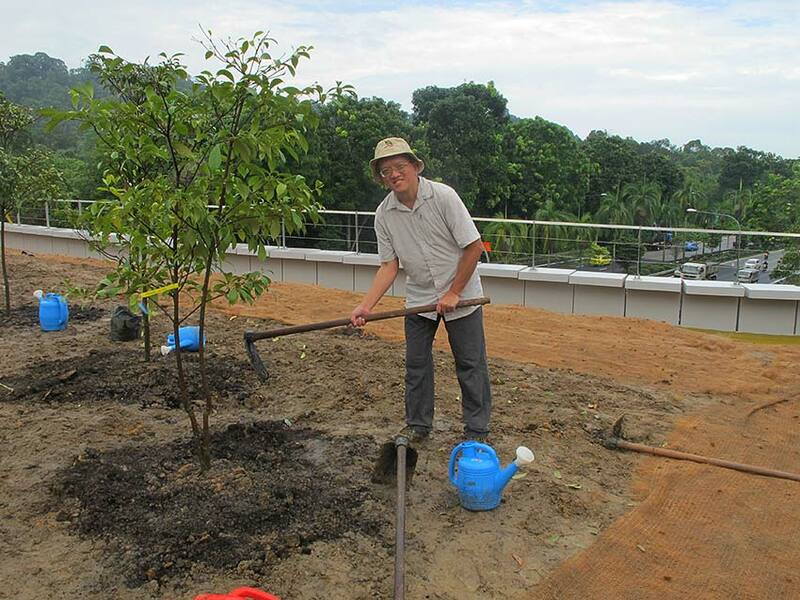 Very soon, all the trees were planted, and the group made its way down to the exhibition area and our much-needed refreshments. As if on demand, a couple of snakes showed up and got the attention of the group, including our Guest of Honour. As it was still cool and cloudy, I didn't manage to spot any butterflies in the area. 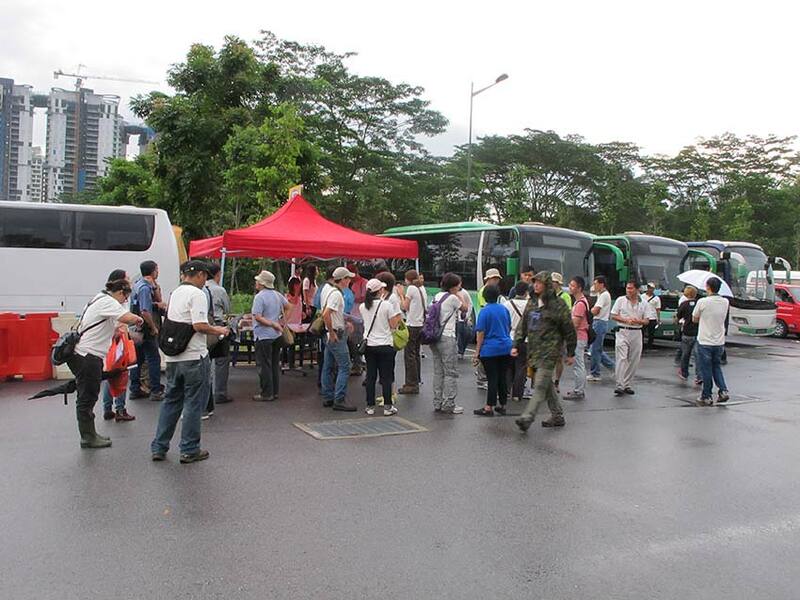 As for ButterflyCircle's involvement, members had earlier conducted a pre-construction survey in April 2011 in the area. 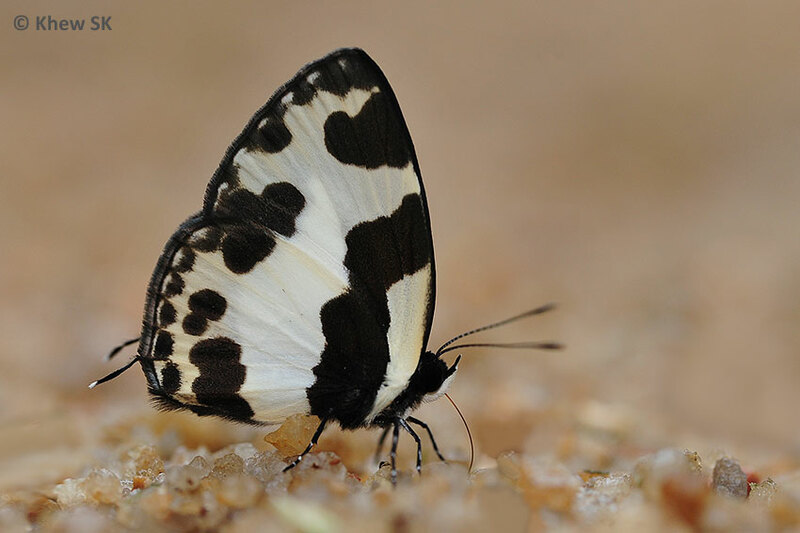 On that single day alone, a total of 54 species of butterflies were recorded. 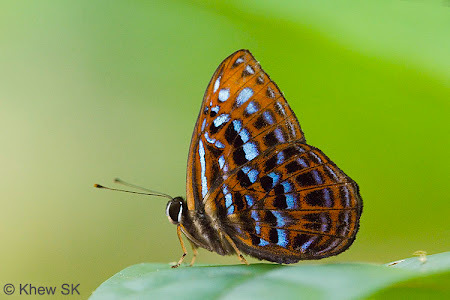 A few rarities like the Lesser Harlequin, Malay Tailed Judy, Indigo Flash were spotted. After the contractors vacate the site and the vegetation recovers on the Eco Link and the surrounding forests, another survey will be conducted to ascertain the butterfly count. 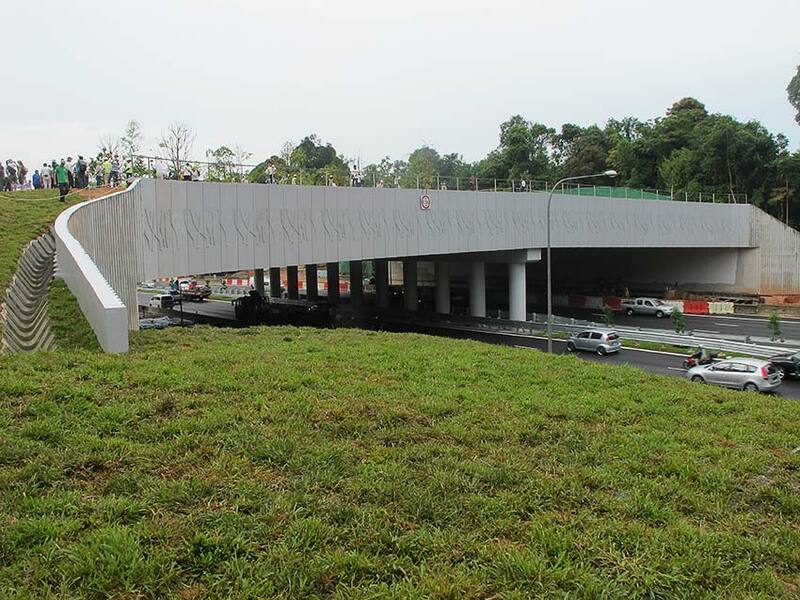 So there you have it, a biodiversity bridge over an expressway, just for nature. There were concerns that the Eco Link would not be effective or is too narrow for animals to want to use it. Will all this effort will be in vain? 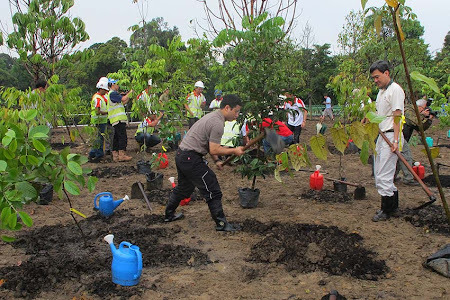 To me, it is a little effort that may go a long way in trying to bridge the fragmented nature reserves. These reserves are important in the sense that the forest-dependent butterfly species are dependent on the preservation of this habitat. 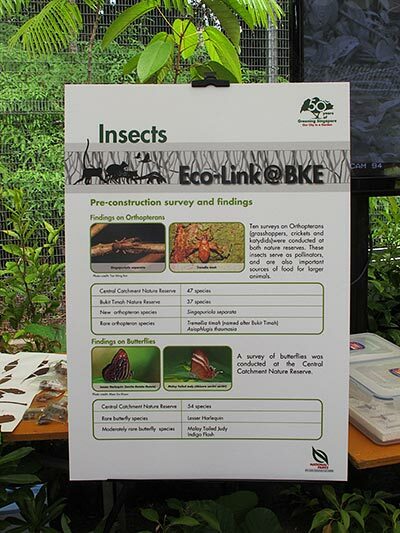 Although the Eco Link itself may not be directly beneficial to butterflies, since they can easily fly across the BKE, the selection of plants and regeneration of habitats across the bridge may help butterfly populations to spread between the two nature reserves. 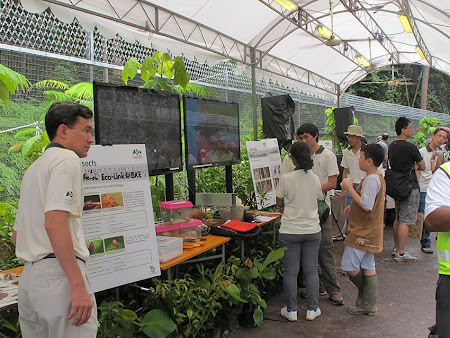 The Central Catchment and Bukit Timah Nature Reserves are the last remaining remnants of a once awesome primary forest that covered Singapore. These are certainly worth preserving as our natural heritage, and as a home to an amazing diverse spectrum of flora and fauna. The controversy that surrounds the construction of an underground MRT line cutting across the southern part of the Central Catchment Nature Reserve in the MacRitchie Reservoir area stems primarily from the critical need to protect this precious 'green heart' that is home to an awesome biodiversity. 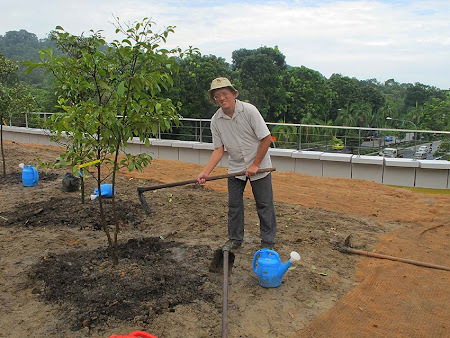 That debate is still ongoing, and it will be another story for another time on this blog.